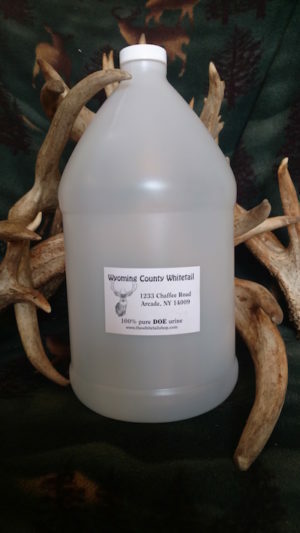 Wyoming County Whitetail deer scent products are as fresh as it gets. 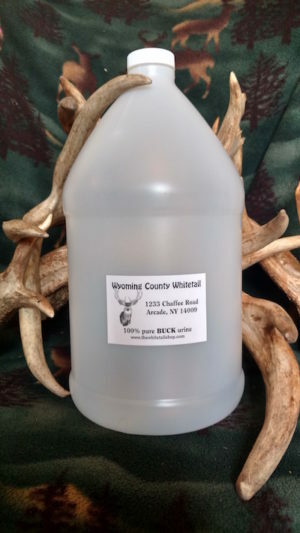 Why not purchase fresh deer urine from us instead of buying deer scents that have been sitting on a store shelf for months or years? 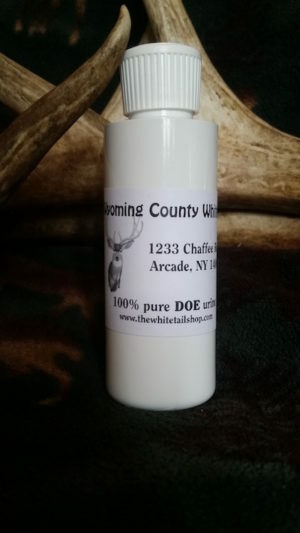 We sell only 100% pure doe urine and buck urine collected from only adult animals with no additives or preservatives. 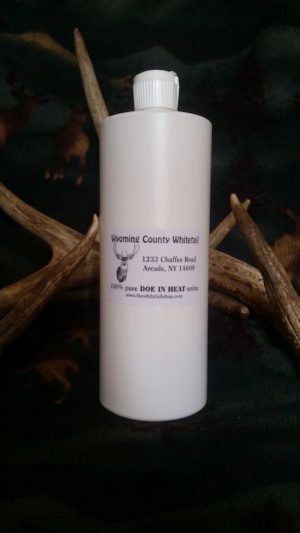 Our deer scent is collected and bottled separately and refrigerated immediately for optimum freshness. 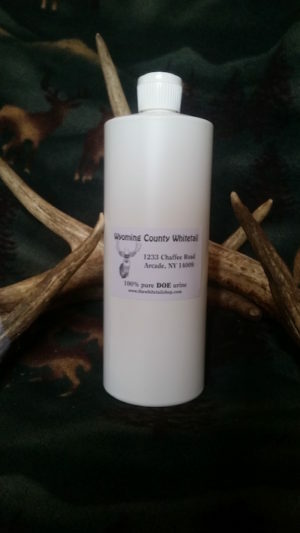 Within 24 hours of receiving your order we will package and ship out your order of fresh deer scent to you. If you order right before a weekend or a holiday your order may take a few days longer to reach you because UPS and the US Mail deliver only on regular business days. 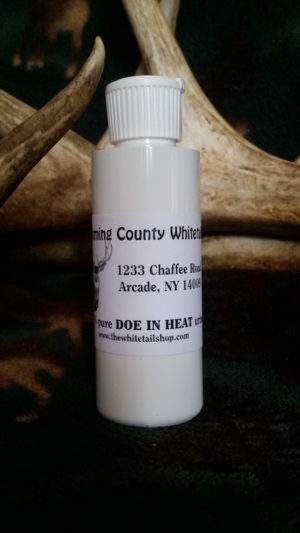 Shipping is included in the prices for all of our products listed below. Sales tax will be added upon check out for any orders which require us to charge sales tax. We sometimes cannot ship large orders to a post office box because of UPS regulations. If you place a large order to a post office box we will contact you by email about an alternative shipping address if necessary. Almost all retail orders are usually delivered within 2 to 6 business days which will be determined by which state we are shipping your order to. 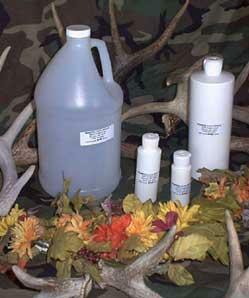 We will ship your deer urine order either UPS or USPS, depending on which one can get your product to you quicker. After receiving your order we will send you a confirmation email letting you know when your order will be shipped out. You can also email us from our “contact page” on this website. 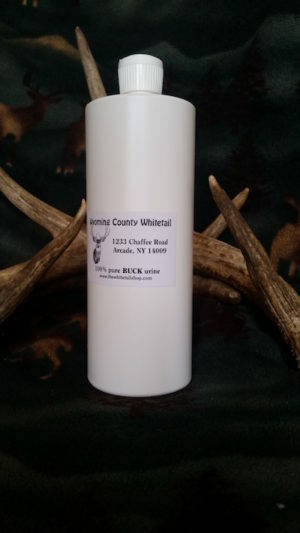 YOUR CAN ALSO STOP BY OUR FARM TO PICK UP OUR DEER SCENTS AND SAVE EVEN MORE. WE OFFER DISCOUNTS OF 25-40% ON ORDERS WHICH YOU PICK UP. 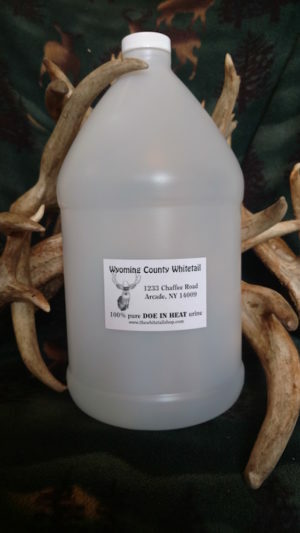 7% discount when you order 2 or more bottles.